Automated external defibrillators (AEDs) – portable electronic devices that can correct life-threatening cardiac conditions – will be installed in the metro and airports to enable even a layperson to give first aid in case of sudden cardiac arrest. The State Duma, the Russian parliament’s lower house, is going to consider a relevant bill, Rossiyskaya Gazeta reports. This is a very useful initiative, says Oleg Volkov, Medical Director at Angioline, a Russian manufacturer of cardiology products. 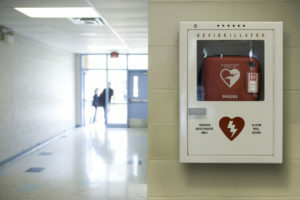 In most developed countries, defibrillators have long been installed in public places such as airports, stadiums, etc. Sudden death from cardiac arrest is a very relevant problem. According to preliminary estimates, no less than 145,000 deaths per year in Russia are due to sudden cardiac arrest (SCA), but this figure can sometimes reach 300,000, that is, 0.1-0.2% of Russia’s adult population. “Implementing this idea would require a federal program, I think, with careful and competent spending of government funds. Along with the purchase of equipment, the initiative should include an extensive media awareness campaign and training of the people who most often find themselves on the site – security guards, police officers, firefighters, the staff of cultural and sports venues,” Oleg Volkov explains. According to him, defibrillators can save several thousand lives a year across the country.